Optional Charity Day Ride Sunday 15th July Various start times from Sandringham Sixth Leonard Cheshire Cycle Together Cycle Rides. 10,25,50,75, 150 mile options. https://www.leonardcheshire.org/get-involved/events/cycling/cycle-together-sandringham Day Ride Saturday 21st July 10.00am Lynnsport A ride to Old Hunstanton. About 38 miles. Day Ride Saturday 28th July 09.00am Lynnsport Holland Hundred from Lynnsport to Boston, Spalding, Wisbech, home Just on a hundred miles. Pray for a repeat of that day where we had tail wind to Boston and tail wind from Wisbech. Neat trick!! Day Ride Saturday 4th August 10.00am Lynnsport A ride to Denver, either Golf Club or Windmill. Decide on the day. About 34 miles. Evening meet Thursday 9th August 8.00 pm at Ferry Lane Sociable meeting. Day Ride Sunday 12th August 10.00am Lynnsport A ride to Bircham Windmill. About 32 miles. 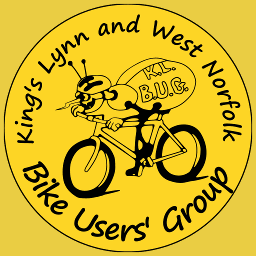 Day Ride Saturday 18th August 10.00am Lynnsport A ride to West Acre Gardens tea room. About 32 miles. Audax Saturday 25th August West Row Village Hall, Mildenhall. Start times vary. www.aukweb.net/events/detail/18-360/ Part of Mildenhall Cycling Festival, Audax distances 52km, 100km, 160km, 200km, 300km. Picnic Ride Sunday 26th August 10.00am Lynnsport A ride to Wolferton for a picnic. Bring food, drinks, blankets, sunshades and umbrellas. A pleasant 17 miles.